The Great Dismal Swamp and its surrounding communities have an incredibly diverse history. As a near coastal region with numerous inland waterways, many different types of people traveled through, settled in, and migrated out of the area—including multiple indigenous groups and people from throughout Europe and Africa. Prior to the influx of newcomers, the identities of indigenous people were self-controlled. There were tribal differences between natives but there was no need for racial distinction. The colonial struggle for land, natural resources, and power expanded into a struggle for history, culture, and identity that continues to this day. External Forces (The Government) are motivated by control. Historically, the legal rights of citizens have been highly dependent upon racial identification—meaning there have been numerous social, economic, and political reasons for the ways groups of people have been racially and ethnically labeled. Internal Forces (The Community) are motivated by history, culture, identity, relationships, and social status. The internal forces of ethnogenesis can be powerfully influenced by external forces—especially when there are advantages and/or disadvantages associated with belonging to a racial or ethnic group. While many people perceive ethnicity as something innate it is quite dynamic. As external and internal forces shift, ethnic groups evolve and change in both composition and size. Though Virginia and North Carolina were densely populated by indigenous people, “Indian” was not added to the census until 1860. Prior to its addition, Indian people (and those of mixed Indian ancestry) had few means of self-identification and/or differentiation from other people with similar appearances yet different ancestry. The social and political chronologies of Virginia and North Carolina are fundamental to understanding the complex set of external and internal forces that formed the racial and ethnic identities of people living around the Great Dismal Swamp. One must also note a number of other factors that affected community cohesion (e.g. economic status, occupation, community attitude, etc.). Black Laws of Virginia: A Summary of the Legislative Acts of Virginia Concerning Negroes From Earliest Times to the Present is an important reference to understand the social and political pressures on people of color in Virginia (this includes people of African ancestry, people of different ancestries who may have been perceived as black, and people of mixed ancestries). This summary begins in 1723 and continues through 1864, providing early insight on race relations and a sense of how tensions escalated over time. People frequently cite Nat Turner’s Rebellion of 1831 as a pivotal point in racial history without the context of the many other actions that happened before and after it. 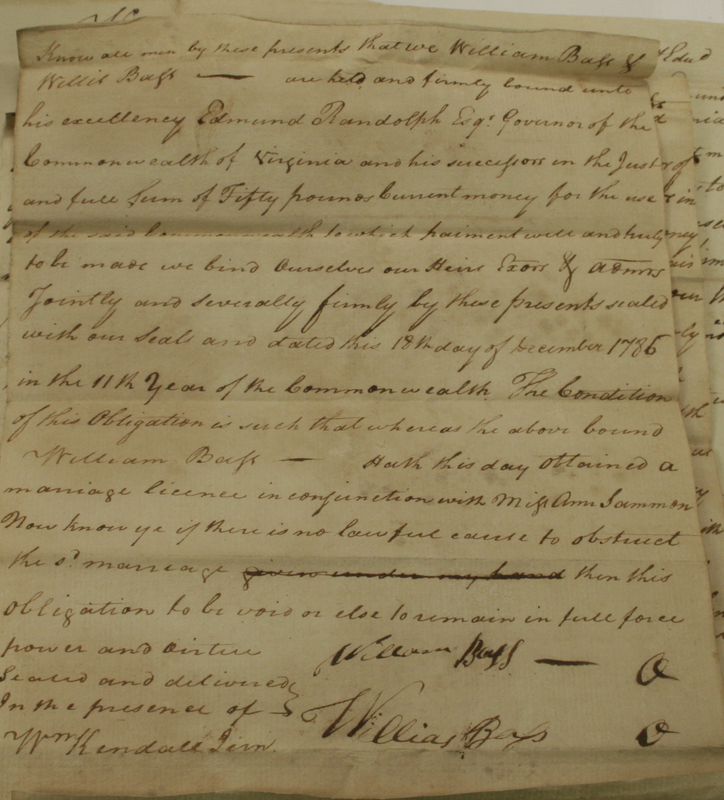 In Norfolk County, the increasing laws and restrictions against people of any African ancestry led many people of mixed ancestry to petition the state of Virginia for exceptions. In 1833, John Murdaugh, the delegate to the General Assembly, introduced a bill to exempt “people of mixed blood, who are not negroes or mulattoes,” from such laws. These legal petitions, while a seemingly minor moment in history, have had untold significance on the long-term ethnogenesis of many Great Dismal Swamp descendants by creating a historical schism between people of identical ancestry: those with pre-1860 Indian ancestry documentation and those without documentation. Below I will outline the story of a family of mixed ancestry with legal petitions and contrast it against one without to demonstrate how a small difference in “ethnogenic” forces can lead to completely different futures. great granddaughters of Lucinda Bass and William Trummell. In the 1830 Federal Census for Norfolk County, William Bass, Andrew Bass, Jemima Bass, and William Trummell were enumerated in a cluster as “Free Colored Persons.” William had a household of 6 (1 male 24-35, 1 female 24-35, 2 males under 10, and 2 females under 10). “Lucy,” his wife, and her mother Jemima received court certification of Indian ancestry on July 20, 1833 along with several other family members. It is unclear where William and Lucinda lived at the end of their lives but their children, William, Thomas, Harriett, and possibly one other, moved before the 1850s. Analysis of census records, deeds, and intermarriages reveals that the Trummells migrated to the same small community as the Basses, Halls, and Nickens (other free families of mixed ancestry) in South Mills, Camden County, North Carolina. Joys Creek (depicted in red) was the center of South Mills Township where each of these families lived. Click here to see a collection of deeds mapped in the area. 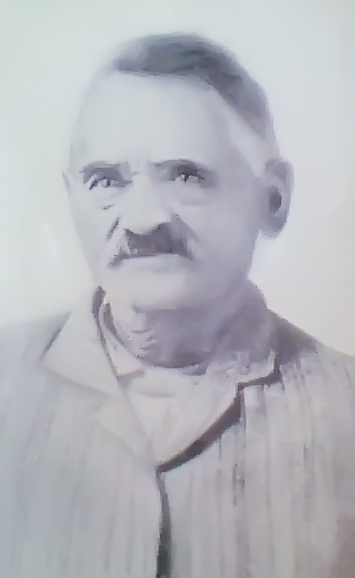 During the 1860 Federal Census, the year when “Indian” was added as a census option, the Trummell family was enumerated as “black” but 10 years later during the 1870 Federal Census, the entire household was enumerated as “Indian.” Likewise, in the 1880 Federal Census, Thomas Trummell’s whole family was enumerated as “Indian.” These changes reflect a combination of external and internal forces of ethnogenesis—the government provided additional options for ethnic identification and the Trummells chose to identify themselves accordingly but the shift was not immediate. Harriett Trummell, the youngest sibling, never married and remained in South Mills through the duration of her life—spending many of her early years living with her sister-in-law Dorcas. Caroline (b. 1858), Harriett’s daughter, had a son named Thomas but also appears to have never married. She and her son lived with her mother until 1920. In 1885, Emma Trummell—a daughter of Thomas and Sally Trummell—married my third great grandfather, John Bass. 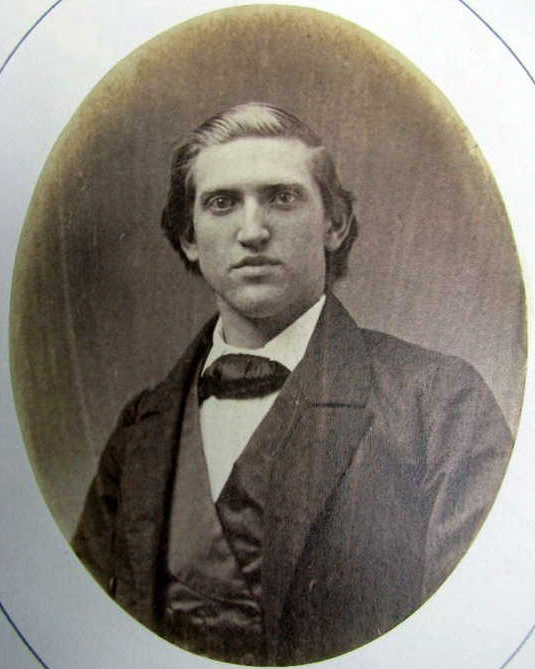 Emma, a descendant of Willis Bass, was a distant cousin of John, a descendant of William Bass, and they were likely both raised in similar diverse communities. However, Emma came from a family line that remained in Virginia just long enough to gain legal recognition of their Indian ancestry while John came from a family line that migrated into North Carolina before these distinctions were put into place. Despite their descriptions in the Camden County, NC federal census (“Indian” for Emma and “mulatto” for John), both individuals were noted as “black” on their Portsmouth, VA marriage license. Was this because they self-identified as “black” or because they were perceived and labeled as black? Age: 44, Birth Date: 1841, Birth Place: Camden County, N. C.
Age: 21, Birth Date: 1864, Birth Place: Camden County, N. C.
John Bass (b. 1840), a descendant of William Bass of Camden County, NC and husband of Emma Trummell. Sarah Trummell (b. 1858), a descendant of Willis Bass of Norfolk County, VA and sister of Emma Trummell. The life trajectories of these Trummell descendants prove the incredible flexibility of racial and ethnic identity around the Great Dismal Swamp. Individuals could be recorded under a different race during each census, when marrying, and when crossing state lines. Ethnicity was, and still is, a dynamic product of external and internal forces. In genealogy, each detail in a record is an important component of an individual’s identity. Many new genealogists are confounded by these types of inconsistencies in records because it creates the illusion of two separate people when it is actually one person being documented differently. The Trummells, and many of the other mixed ancestry families in the area, demonstrate that race (as recorded) is not a strong reflection of anyone’s identity. My first exposure to the concept of ethnogenesis was through Helen Rountree’s paper on the Nansemond Indian Tribal Association (NITA) submitted to the American Anthropological Association in November 1987. She described a group of people who were, for the most part, disconnected from their Indian ancestry and the effort required to reconstruct their community. 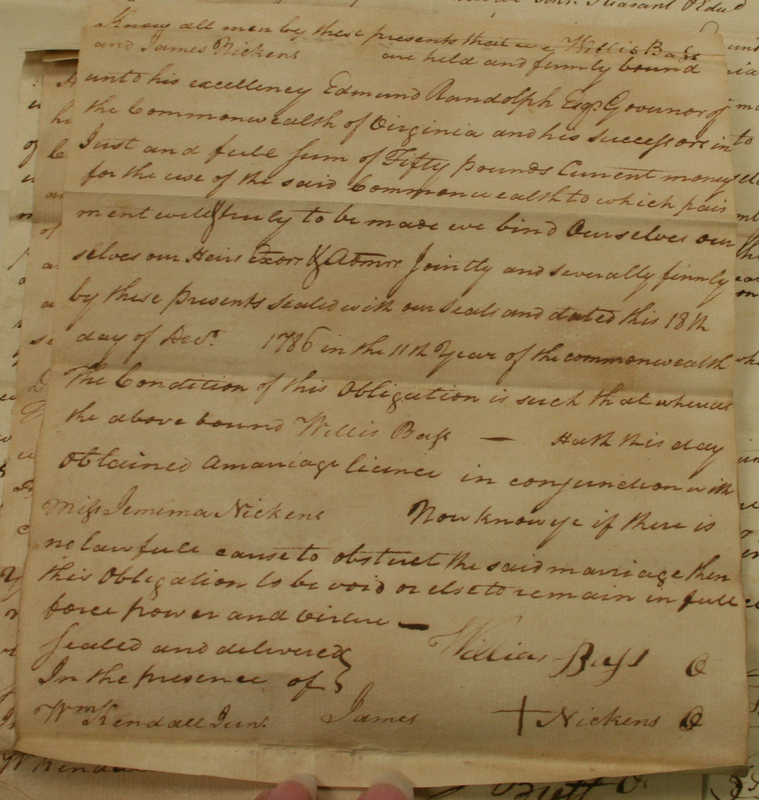 This process included everything from establishing Nansemond traditions to retroactively changing birth certificates of new NITA members (from “White” to “Indian”). In many communities people refer to families of the same surname but different races as the “white” side and the “black” side. In cases of slave owners, there generally were two completely unrelated groups of people from the same homestead. However, in the cases of free people of color, “white” families and “black” families of the same surname often share the same origins. This is clearly demonstrated by the Trummell family which dispersed in three different directions: Indian, white, and black. This pattern is also evident in the Bass family (and many others) around the Great Dismal Swamp. In the case of the NITA—which was provided Virginia state recognition in 1987—most present members are descendants of the formative 1830s period of ethnogenesis. Anthropologists and genealogists collaborated with the identified descendants of this group to establish the tribal structure we see today and the ancestral traditions currently in practice were put in place through an organized preservation effort. From a genealogical perspective, this puts descendants of the same core families who relocated to North Carolina earlier (frequently mere miles across the state line) at a historical disadvantage because they lack legal petitions and/or documents connecting them across the state line (records that may have included them in the early days of anthropological intervention). Proving ones Indian ancestry is a matter of lineage not a matter of documented race. If you suspect that you descend from an indigenous group of people, do not be deterred by the races you see in historical records. Due to evolving instructions and inconsistent practices, countless errors have been made in the way individuals were described in documents. In the face of these external forces, it seems incumbent upon people of Indian ancestry to fortify the internal forces of ethnogenesis. Tribes do not have the resources to complete genealogical lineage for all prospective members but we each have the ability to do our own research and to reclaim our own legacies (with or without a goal of tribal enrollment). The struggle for historical preservation is never over and no story is insignificant when it comes to the broader history of a people. If you believe you may descend from indigenous and/or mixed ancestry people of the Great Dismal Swamp, please join me in my effort to document their history and empower future generations to establish their own ethnic identities through a greater of understanding of history. Great job Nikki, I’m so proud! Hi Nikki, this article is fantastic. I did notice that some Trummell’s of the past were noted as Indian and others as Black or White. Your article explains the reasons for this. I think I am related to Thomas Trummell noted in your article.